Ever since the Gingerbread build of the Android OS was announced, owners of some of the Froyo flavored models of the Motorola DROID line starting wondering if their particular handset would be getting a taste of Android 2.3. In response to an inquiry about which DROID models would be moving up the Android food chain, a response apparently coming from a Motorola employee said that Android 2.3 would be made available to the Motorola DROID 2 and DROID 2 Global, the Motorola DROID X and the Motorola DROID Pro. Those who just bought or are planning on buying the Motorola DROID X2 have no worries as the manufacturer has already announced that the phone will be getting Gingerbread. But those still clinging to their original Motorola DROID will seemingly be stuck with Android 2.2 as Time Magazine's 2009 Gadget of the Year just doesn't have the processing power to handle the newer version of the Android OS. Is Android 2.2 the end of the line for the Motorola DROID? okay, that's good news however i'm not surprised that this is how it's going to be, what i want to know is when Motorola??? WHEN!?! if you look at some of the video reviews of the Droid X2 with the new Droidblur Interface you'll see there are a few new widgets including a much needed bookmark widget and new gallery features that aren't in the leaked build. *UPDATE* it appears that it's only the Droid X2's build that has the enhancements i specified. For those like me who downloaded the leak, apparently we don't have the final build. Which is good, as there are a couple of bugs I uncovered which have probably been fixed. I'm actually happy that Moto is taking the time to iron out bugs before releasing the update. I'm going to check and see if I can download the final build when it's released. In the meantime, Gingerblur has still been a revolutionary experience. 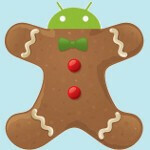 Well I guess its a good thing I installed a gingerbread based rom over a month ago on my original Droid. Also been running it at 1.1ghz for over a year. Seriously, I've never owned a gadget with a longer shelflife than this phone. it would seem the beloved original Droid has reached the end of the ride..sorry guy. two year contract should be up, take a look at the Droid 3. it looks like a good upgrade. "But those still clinging to their original Motorola DROID will seemingly be stuck with Android 2.2 as Time Magazine's 2009 Gadget of the Year just doesn't have the processing power to handle the newer version of the Android OS." Really MOTO/Verizon? I've been running 2.3 on my original DROID for months now, AND ITS UNDERCLOCKED TO 500MHz!!! It's not the processor, its the bloatware they put into their builds. It seems like I read an article every couple of weeks saying that 2.3 is going to be out soon. WTH? okay. I have a droid x, and im on a consignment line so i cant root my phone to put gingerbread on it. when exactly is this update comming because both on here and on android forum the droid x and others in the series were suppose to get the update now 10 days ago. so WTF motorola!!! being that my phone is a consignment line can i root it? or im i asking for trouble? since technically i dont own the phone? What about the droid incredible? all of these phones run the same version of Blur which seems to get updates MUCH quicker than the traditional version of Blur on the Atrix, you'll get it eventually just wait and see.